As a university student who stays on campus, I have a bio-clock that is unlike any normal people, say the school kids or the working adults. In fact, one could say that a different timezone exists on the hostel that I stay in. Our morning usually starts around noon and we never sleep before 12am. And what others usually think of as supper is our dinner while our supper often takes place after 12am too. 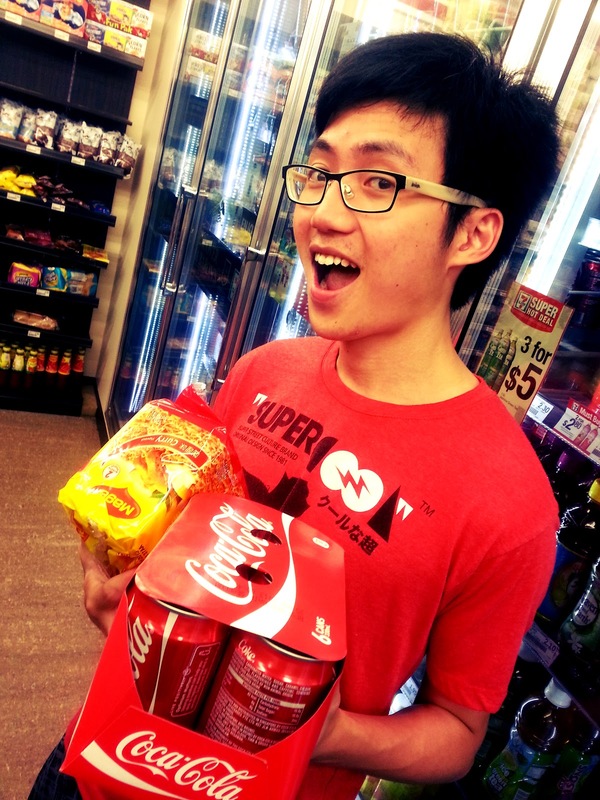 Which is quite a hassle sometimes, because convenience stores and restaurants don't usually follow our university timings and we have trouble buying what we want during the time when we are most awake, which is after 12. Thankfully for me, there's a 7-11 store right behind my hostel and for more than three years that I have been here in NUS, that 7-11 store has been one of my best friends. And as part of the majority of university students population where health is always second place to grades and a whole bunch of other things, the items that I always buy at the shop are none other than those items that have the word "instant" spelled all over them. 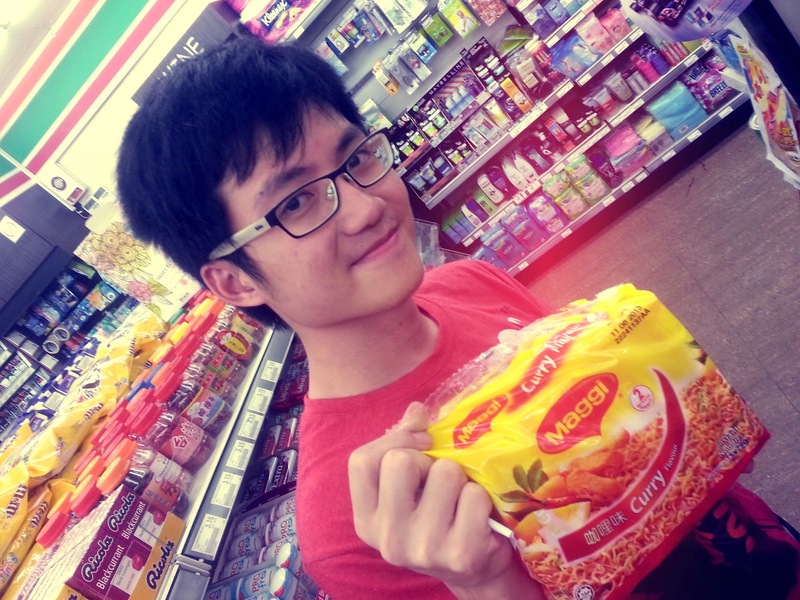 Maggie mee, for example. Coke! Because it matches my shirt. And I can so hear gasps coming from my mum already. But that's how a university student survives! Especially one who is lazy and hates cooking. Then again, I also have bought biscuits and even rice from 7-11 before when I'm feeling up to it. Not to mention host of other stuff like trash bags, stationaries, toothpaste and even Panadol when the situation calls for it. 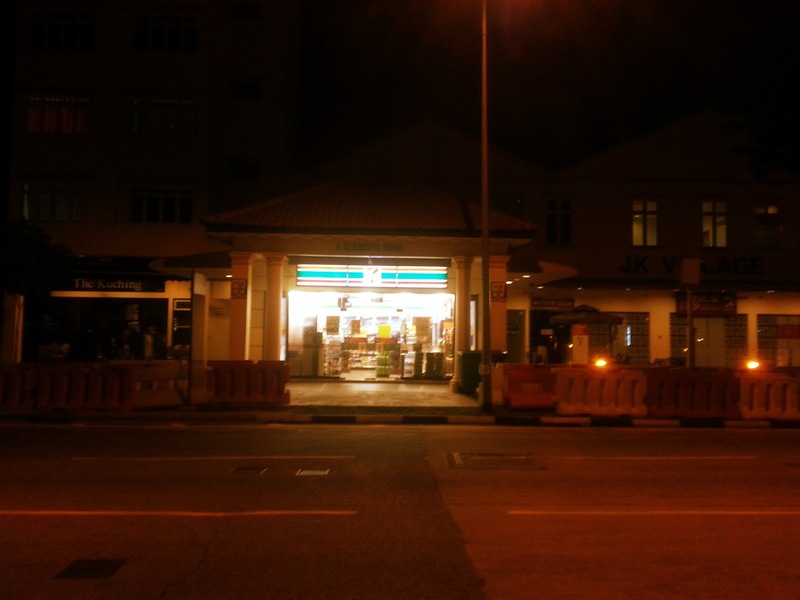 In fact, I think this particular 7-11 behind my hostel is one of my most visited place in Singapore. Convenience is the main reason for it. and that's one shopping trip done for the day! Anyways, from now until 9th October 2012, 7-11 is having this ongoing promotion called the "Leading Brands Contest" where you can stand a chance to win more than 5000 dollars worth of travel vouchers for yourself! This is an awesome chance to take the vacation that you've always been dreaming of. 1. 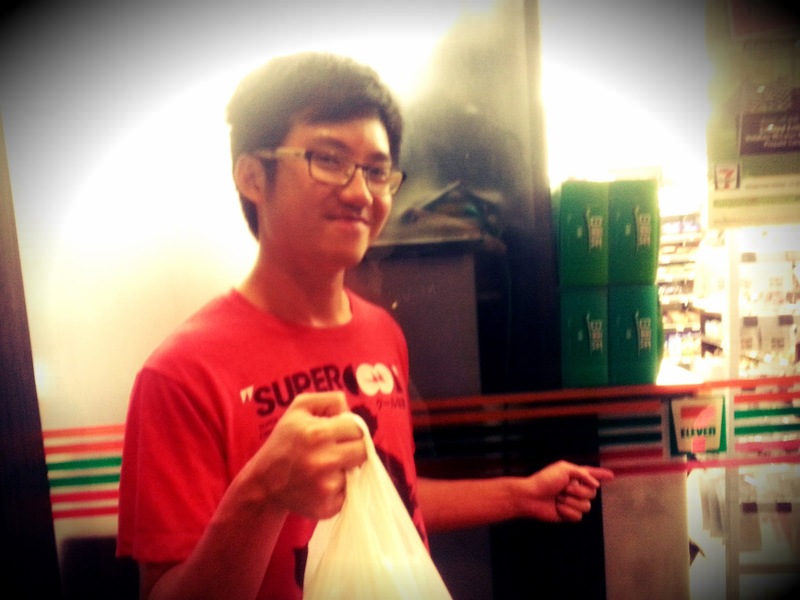 Spend a minimum of 3 dollars at any 7-11 stores near you (which is quite an easy task) and keep the receipt! 2. 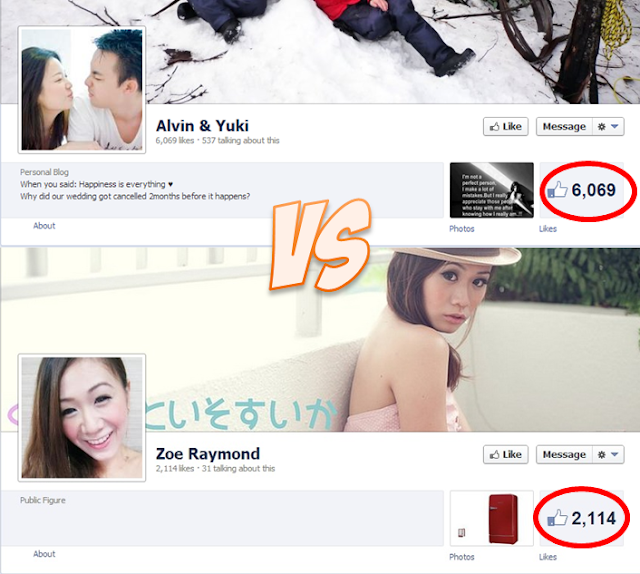 Head over to 7-11's Facebook page at https://www.facebook.com/7Eleven.Singapore and hit the like button. 4. Cross your fingers and toes and hope that you'll be one of the lucky ones! I'm joining the contest too and if I win, I would definitely want to visit France because I've never been to any European countries before and I have always loved the French culture. And climbing the Eiffel Tower is one of the things that I must do before I die. 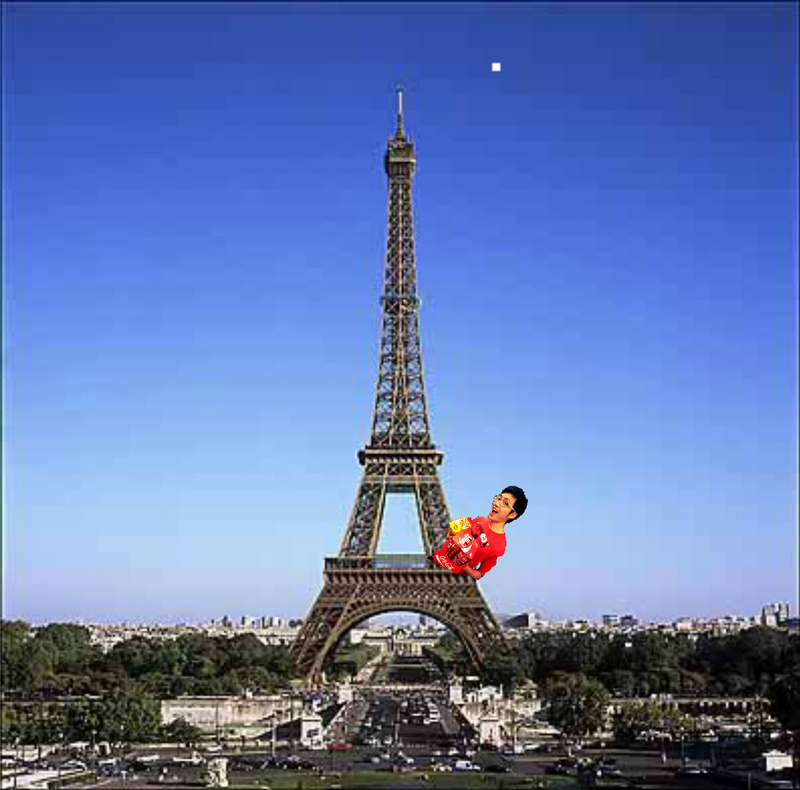 i'm looking forward to go there and eat maggie under the Eiffel Tower too! Aside from that, my friends also told me of other places in France that are really nice, like Lyon and Nice (yes there's a place called Nice in France) and the museums there are to die for. And if time permits, I would also want to enjoy the snow there too! Time to cross all my fingers and toes hoping that I will win the competition too!